This is a sponsored post written by me on behalf of Elmer’s. As always, all opinions are my own. 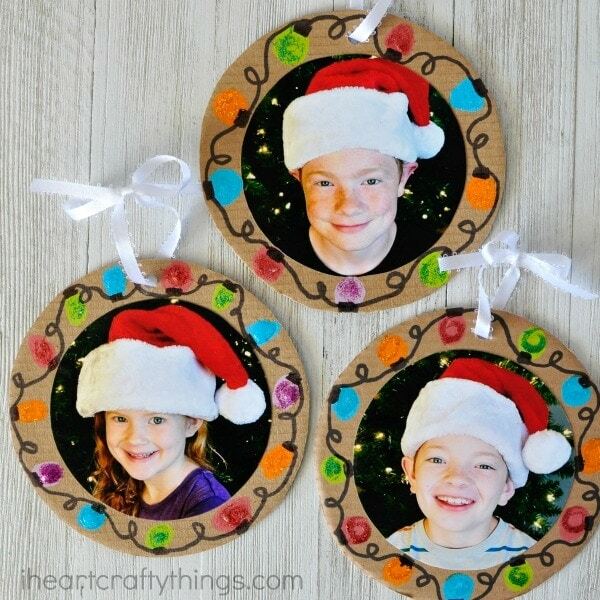 We hope you add these colorful DIY Christmas Photo Ornaments to your crafting projects this holiday season. 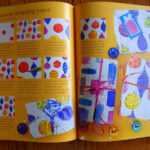 Are you looking for an easy gift for your kids to make for mom, dad or grandparents this year? We have the perfect solution! 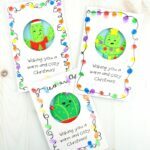 Whether you make these DIY Christmas Photo Ornaments at home to give to grandparents, or in the classroom for a special present for Mom, they are sure to be a big hit. 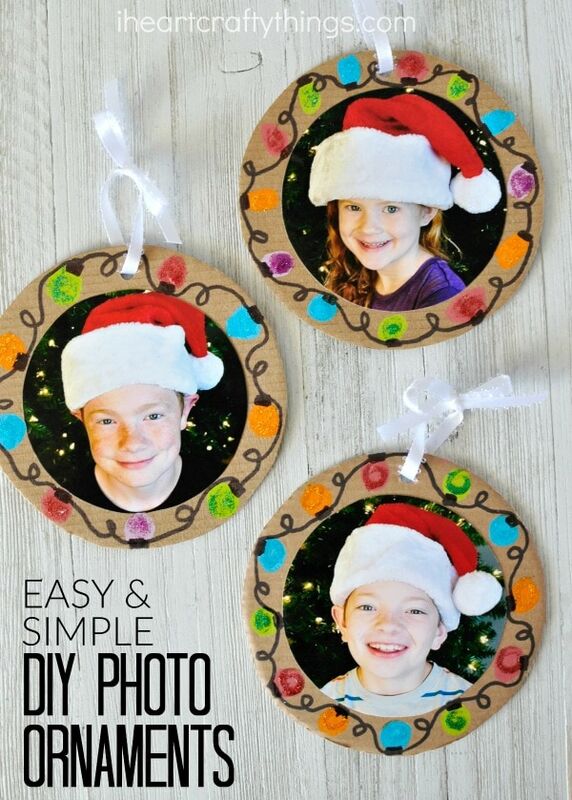 With the help of Elmer’s products, they a super simple to make too which is a huge plus! 1. Gather your supplies. 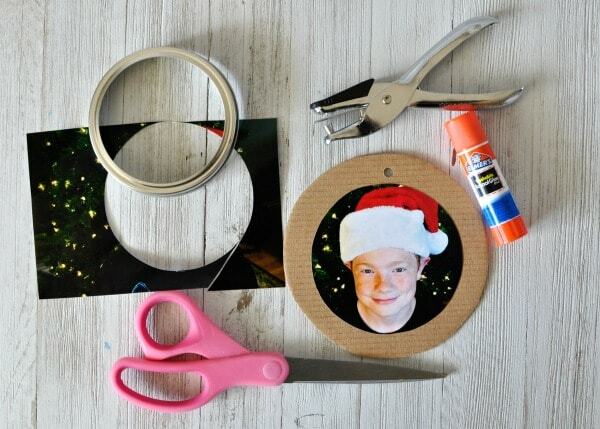 Cut a 5-inch diameter circle from your cardboard and cut your photo out into a 3 ½-inch circle. We used a small bowl to trace our cardboard circle and a wide-mouth mason jar lid to trace the circle for our photo. 2. 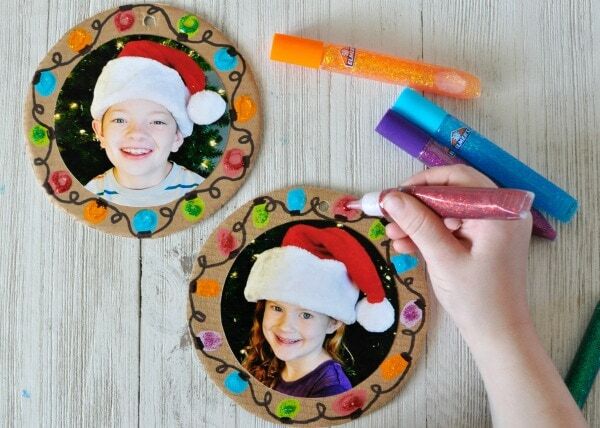 Use your Elmer’s Glue Stick to glue your picture onto the middle of your cardboard circle. 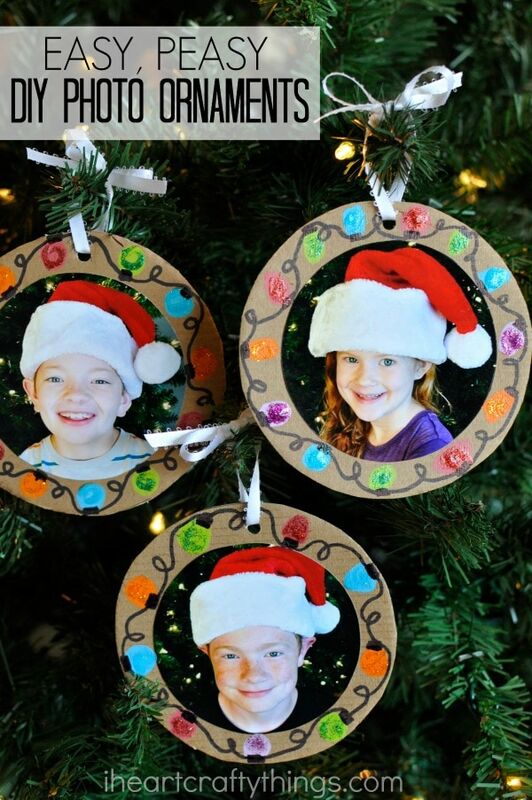 Punch a hole in the top of your ornament with your hole punch. 3. 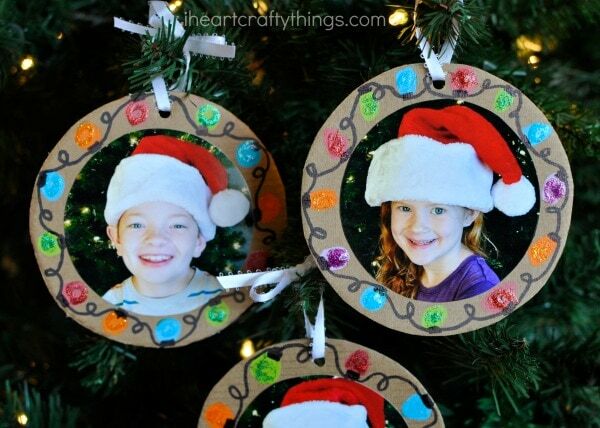 Get out your Elmer’s Painters Markers and use them to draw colorful Christmas light circles on the cardboard around your photo. These markers are great because they dry quickly so there isn’t a lot of waiting time between steps. 4. Draw a small black rectangle at one end of each of your Christmas lights with a black permanent marker and then connect the lights together with squiggly black lines. 5. 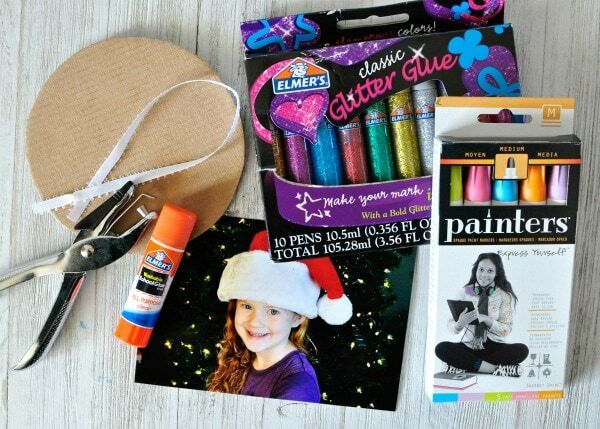 Now use your Elmer’s Glitter Glue Pens to add a bold, glittery pop to the Christmas lights. We coordinated our glitter glue colors with the colors of our paint markers. 6. Once your glitter glue dries, cut a piece of ribbon, thread it through the hole at the top of your ornament and tie a knot or bow to make a loop for hanging the ornament. 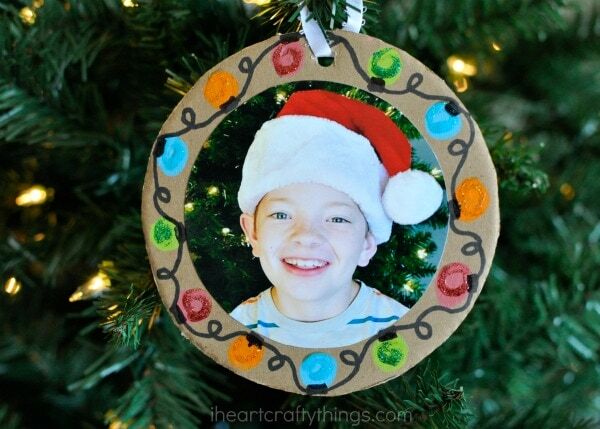 The sparkly Christmas lights on the photo ornament mixed with the glowing lights on the Christmas tree adds such a fun pop of color. 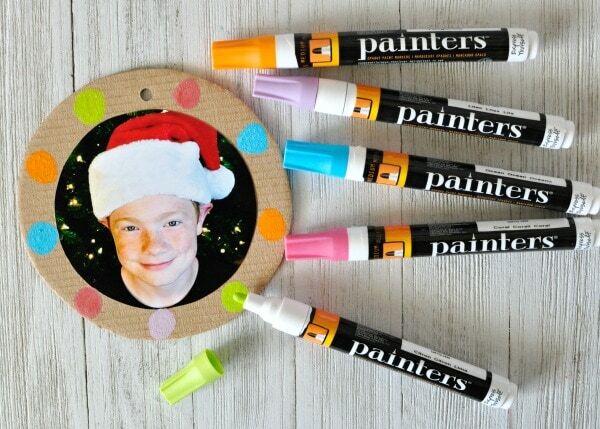 For more fun Christmas craft ideas, visit Elmer’s and sign up for their newsletter. Make sure to check them out on Facebook, Twitter, Instagram and Pinterest too.